Reading The World is My Home by James Michener was a rare case when I read a memoir not being acquainted with the other works of a writer. Well, not exactly. I had already read his Pilgrimage: A Memoir of Poland and Rome and was hooked. As I had known a lot about Poland, it was kind of a validity test, and Michener passed it 100%. I anticipated it would be like some Hollywood movies—interesting for those who knew nothing about the country and ridiculous for those who loved it—but it was not. 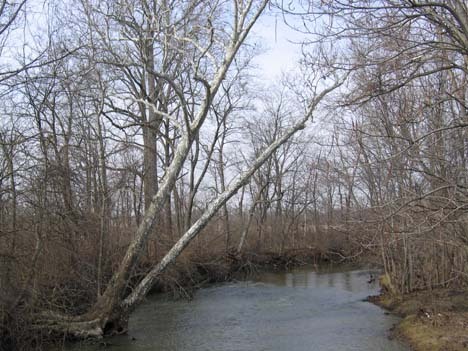 Moreover, I was pleased to find almost complete coincidence with my views and evaluation of the events. 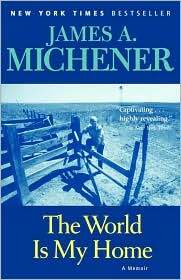 It was surprising to know that in 1970 to 1980 Michener was a senior member of America’s Board for International Broadcasting—two radio stations in Munich which broadcast to the countries behind the Iron Curtain. 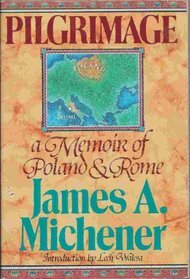 I thought of my grandfather who was born the same year as James Michener, 1907, was brought up in a small village in the western part of Russia, graduated from the university, worked as a teacher, and participated in combat during World War II. There are so many similarities in the biographies of these two noble men, I thought, and probably, when my grandfather went for a walk in the fields on summer evenings and switched on his pocket radio to listen to Radio Liberty, it was James Michener who directed the broadcasting. So I borrowed The World is my Home from the library eager to know more about James A. Michener, a person and a writer, first-hand. And I was not disappointed. And then, because you are in the part of the earth where, because of the bulge near the equator, the sun rises and sets with a tremendous crush, to see it suddenly explode into red brilliance, big enough to devour the world. And then to see ahead, its crest inflamed by the sun, the dim outline of the island you have been seeking, and to watch it slowly, magically rise from the sea until it becomes whole, a home for people, a resting place for birds. Isn’t it beautiful? And what a nice balance between the informational and emotional richness! Wise and honest. The World is my Home creates the image of the author as a wholesome person with positive attitude who had been studying all life long, was loyal to his country and achieved a lot—an almost chrestomathic example of the American dream come true. It does not feel tedious or didactic, though. It feels like you have a conversation with a wise, frank and supportive friend who wants to share his experience and help you avoid common mistakes. I came through remarkably unscathed, delighted with the world as I had found it, and always prepared to face gladly the next encounter it offered. In his memoir James Michener reflects on eternal questions everybody faces at some point like profession, health, and politics. Sometimes I stopped reading, tried to compare his views with my experience and often came to the conclusion, “Yes, it’s settled now.” The book was published in 1991. What a pity I did not come across it that time! Second opinion. The title, The World is My Home, assumes that the author was interested in people, nature, culture and politics all over the world. “The converse must also be true,” I thought. So I translated one chapter, “Travel,” into Russian and emailed it to my friends back in Russia to get their opinion. It took a while until I got the second response. “You know what,” my friend wrote, “as I had read that book, a passion for traveling overcame me, so I grabbed my daughter, jumped into the car, and we drove as far away as to Sardinia, Italy. It was awesome—both the book and the journey”. One deficiency. So far, it sounds like the book is perfect, educating and captivating simultaneously—a unique combination. It definitely is. The only flaw I want to mention is that at some point a déjà vu like feeling struck me, “It seems I’ve already read that same paragraph!” Yes, a couple of paragraphs were moved to The World is My Home exactly as they appeared in Pilgrimage. I also noticed a few cases of minor benign autoplagiarism in other Michener’s nonfiction later. Well, those were always solid meaningful paragraphs, and there was nothing wrong in repeating them. Moreover, it was kind of a funny practical counterweight­—each good phrase should be utilized as much as possible—to Michener’s romanticism. If I were asked to characterize The World is My Home in one phrase, I would say, “Job well done, life honestly lived.” When I finished reading the book, I reread selected pages with great enjoyment; I was delighted translating “Travel” into Russian and sharing it with my friends; I have read several books by James Michener since then, both fiction and nonfiction; all of them were worth reading but The World is My Home is the one most memorable.